This is YouYi doll, she has an open mouth with teeth and tongue. This life-sized simulation doll designed to look like a human model. 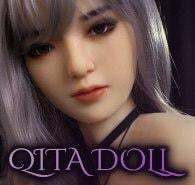 We offer the best quality dolls with a versatile combination of heads and styles of the body together with a sophisticated skeleton with superior mechanical structures.